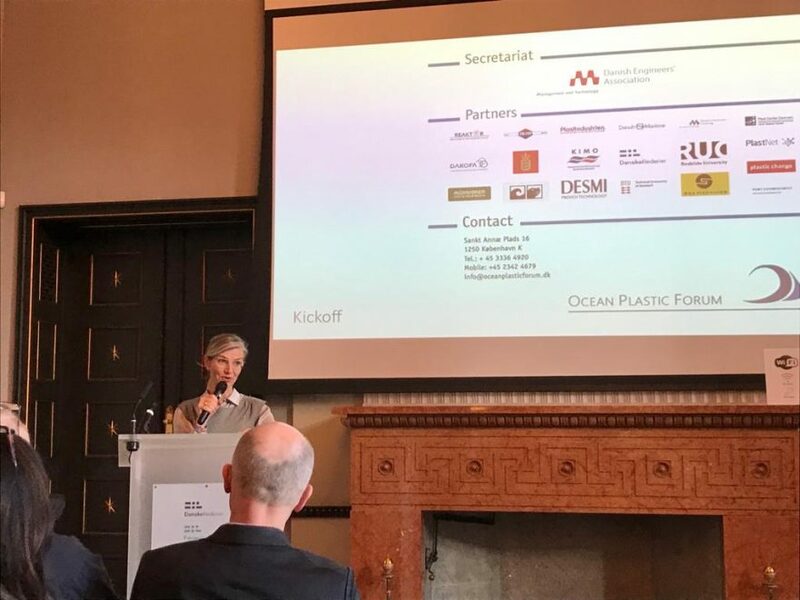 Sea Machines’ Peter Holm, European director, attended this week’s Ocean Plastics Forum, in Copenhagen, Denmark, to discuss how the company’s autonomous-command and remote-control products can be used to accelerate pollution clean-up at sea. Capabilities of Sea Machines products include autonomous route planning, survey grid management, collaborative work (shown below*) and obstacle avoidance, all of which increases the productivity, predictability and safety of marine plastic recovery operations. “Plastic in the oceans is an increasing problem for the environment and people … That development must be reversed. Danish companies are far advanced with technology that can help solve the environmental challenge,” said forum speaker Ulla Tørnæs, minister for development cooperation (shown above). The forum was a Danish initiative established by a number of local companies and organizations earlier this year. It gave Blue Denmark industry leaders, such as Sea Machines and Maersk, the opportunity to come together to discuss solutions that can remove plastic pollution from our seas in a financially viable way. Sea Machines is a proud member of the Ocean Plastic Forum.